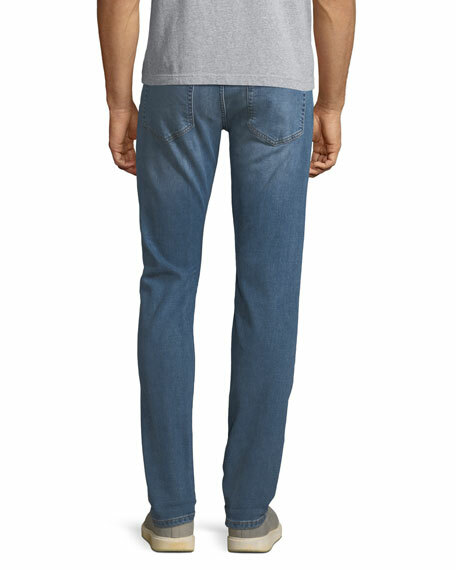 Joe's Jeans "Slim" jeans in Stiller-wash stretch selvedge denim with 3-D whiskering and hand-sanded details. 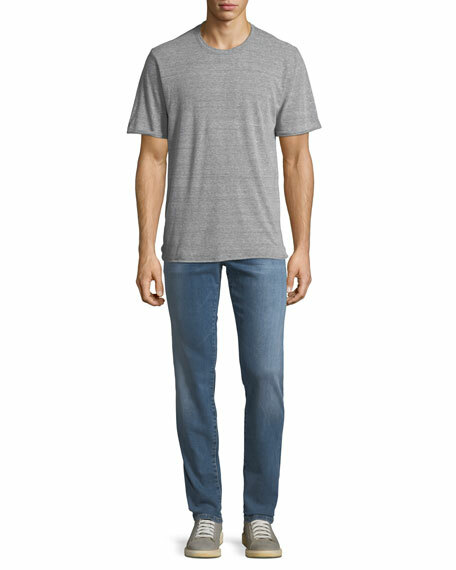 This denim is incredibly soft and stretchy. 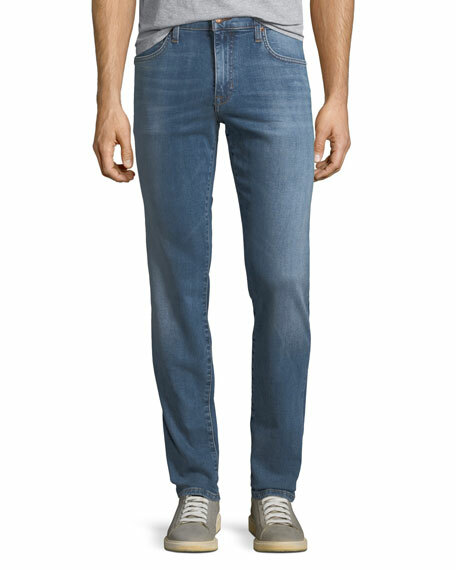 For in-store inquiries, use sku #2549597.